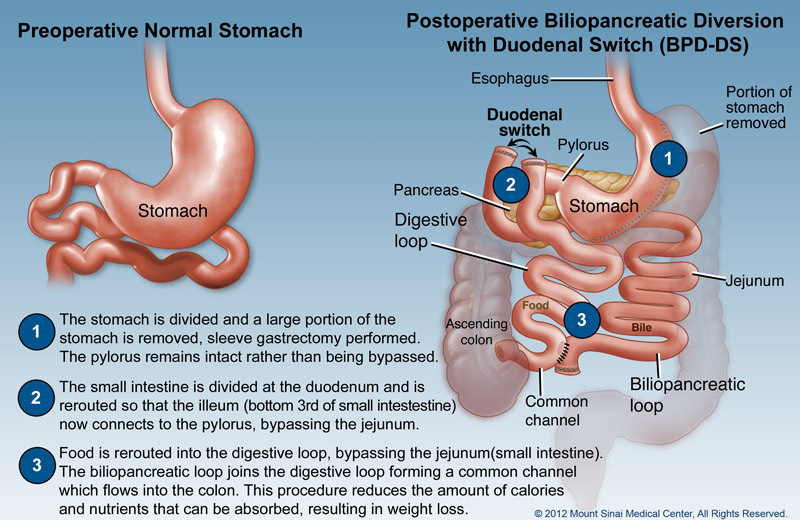 The biliopancreatic diversion with duodenal switch (BPD/DS) is a combined surgery that makes your stomach smallerand bypasses part of your small intestine for the best-reported, long-term percentage of weight loss. All insurance companies require a BMI of equal to or greater than 35 with co-morbid conditions, or a BMI equal to or greater than 40. The restrictive part uses a sleeve gastrectomy to make the stomach smaller while it works normally. The DS surgery keeps the pyloric valve intact, unlike other surgeries that bypass it. Keeping the pyloric valve intact lowers your risk of getting certain ulcers, or a blocked or narrowed opening (stoma). 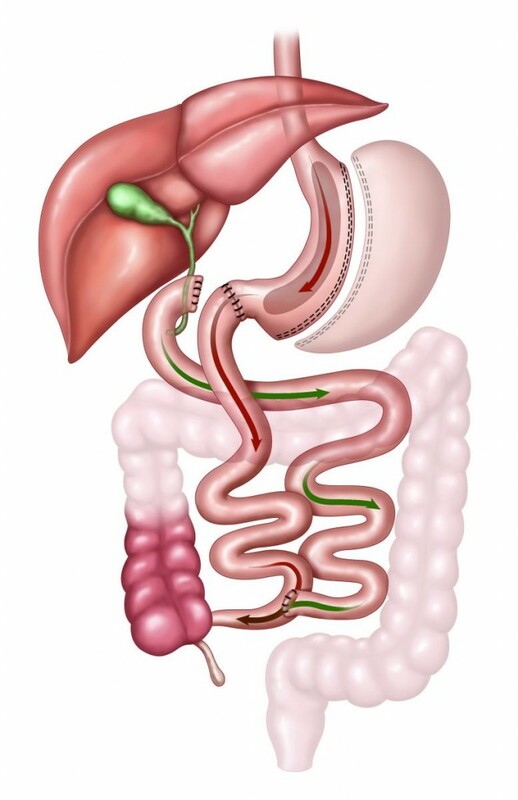 The malabsorptive part of this surgery rearranges the small intestine to separate the flow of food from the flow of bile and pancreatic juices. This means you absorb fewer calories from most foods. Further down the digestive tract, the divided paths are rejoined. Food and digestive juices begin to mix, and some absorption happens in the common tract as the food continues on its path toward the large intestine. BPD/DS has a higher risk of surgery complications and a longer recovery period than other bariatric surgeries. You’ll need to take nutritional supplements. You may have more frequent, foul-smelling stools. You’ll need life-long follow-up care.